Statistical data analysis is a cornerstone of the sciences and operates as a shared language across disparate fields, from neuroscience to astronomy. However, current curricula often result in disengaged and stressed students who struggle to connect the concepts of statistics to the real world. Professor Lisa Dierker and her team at Wesleyan University have developed a novel approach to teaching statistics and data analysis that empowers students from diverse educational backgrounds. Her program, Passion-Driven Statistics, offers a multidisciplinary project-based approach that is both supportive and engaging for students at all levels of statistical mastery and those coming from diverse educational backgrounds. Data analysis is a central component of science, technology, engineering and mathematics (STEM) fields, and is essential for scientific findings to be regarded as meaningful. In many ways, statistics can be viewed as the shared language of the sciences – the standard way for researchers and academics from disparate fields to converse with one another about data and evaluate each other’s findings. A solid understanding of statistical methods and reporting is essential for communication between researchers both within and across disciplines. Despite the necessity of statistics in many STEM fields, and an increasing demand for a statistics-literate workforce, traditional teaching methods often fall short. Many introductory statistics courses rely heavily on the memorisation of formulas and methods, often applied to abstract examples that lack the context students need to relate statistical methods to their lives or the world at large. It is common for students to regard introductory statistics courses as tedious at best, and overwhelming at worst. Given these challenges, it is unsurprising that students who are not required to take statistics courses seldom do, and students who choose majors that require statistics often take only the bare minimum requirements, rarely seeking out more advanced coursework once requirements are met. Among students that do take an introductory statistics course, a firm grasp of critical concepts and how and when to apply them is not guaranteed. Due to the memorisation-based strategy adopted by many statistics teaching models, it is possible for students to learn formulas and definitions without ever using statistical methods to solve a real-world problem. At many universities, low-level statistics courses are taught in a large general lecture format within mathematics departments. As a result, the statistics that students are first exposed to can be completely divorced from the scientific disciplines and problems that the course is intended to prepare students for. Further, without an understanding of how statistical methods are applied to real-world issues, students are unlikely to be able to use statistical understanding when evaluating data and figures presented to them in their everyday life. The common trope ‘you can fudge the numbers to say anything’, is really only true when the person reading the numbers does not understand how variables were measured and data were analysed. In a world where the average person is inundated with data on a daily basis, sorting out the signal from the noise is more critical than ever, and effective statistics education is essential to this skill. Humans have the distinctive ability to use communication to solve problems as a team. Often our most heralded advancements are the products of a diverse group of people collaborating with one another to work towards a greater goal. When people from dissimilar backgrounds collaborate, each is able to offer a unique perspective that builds upon and adds to the knowledge and skills of the team. However, forming diverse teams of scientists requires increasing diversity in STEM – an issue that has proven to be a stumbling block for educators over the past few decades. Students from disadvantaged backgrounds, minorities, and women are less likely to embark on STEM career paths, and those who do are more likely to change careers. Retention challenges range from lack of support, to lack of access to academic opportunities, to flat out discrimination. However, addressing these inequalities and retaining these students will benefit humanity at large. Solutions to the present challenges facing society will come from diverse teams of people working together for the common good – particularly in STEM fields. In order to develop a more effective model for introducing youth to statistics, Professor Dierker realised she was going to need to abandon the traditional memorisation-based lecture method. She wanted to build a system that transforms students into self-motived young scientists, driven to learn about data analysis to satisfy their own curiosity about the world, rather than chase a grade or simply fulfil a requirement. The perfect program would rise to many challenges: promoting multidisciplinary modes of inquiry that can be adapted across a wide range of problems, encouraging the flexible application of new knowledge, building new skills upon one another as new challenges arise, facilitating the use of modern computing tools, providing support for students at all skill levels, attracting and retaining students from underrepresented groups, and framing statistics as the basis for understanding complex information in the world at large. Professor Dierker and her team at Wesleyan University developed Passion-Driven Statistics to meet these lofty aims, by utilising cutting edge research into how humans are motivated to learn and best retain new information. Passion-Driven Statistics aims to train students to approach problems with a statistical eye, so their skills are not simply memorised and then forgotten, but become a part of their intellectual toolkit and shape their perspective on the world. Rather than listen to lectures during class time and practice problems as homework, Passion-Driven Statistics flips the script: students work on projects of their own design in class, and complete readings and online lectures as homework. This means that students spend class time engaged in projects that pique their natural curiosity, learning the statistical methods necessary to answer questions specific to their interests. Rather than moving down a laundry list of required topics, students build on their statistical knowledge organically as they move through their project, forming more meaningful connections between concepts and methodologies. 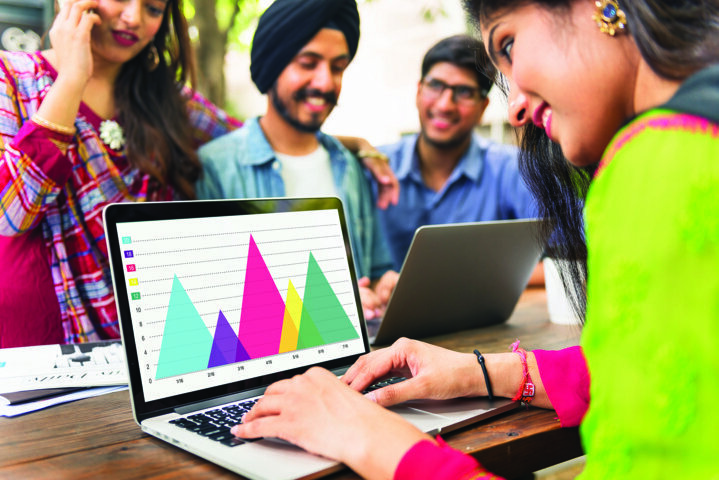 This gives students a sort of ‘choose your own adventure’ introduction to statistics, allowing them to learn data analysis tools that best address their research question and to make data management decisions that provide exposure to a wide range of statistical tools. It is critical to Professor Dierker to ensure that the program is useful for all majors, and that students will be able to adapt their newfound statistics knowledge across the range of STEM fields to engage in interdisciplinary research. To accomplish this, students are taught terminology from across multiple fields. They are also given the option of working with data sets from a broad range of disciplines and must share their work with students from other fields, to further hone their interdisciplinary communication skills. To this end, students in Passion-Driven Statistics are given access to the same computational technologies commonly employed in many industries that collect and use data, providing exposure and experience with modern computing methods and statistical programs that they can expect to use in STEM careers. SAS, Inc., for example, an analytics industry leader, has been instrumental in supporting the program through their freely available, cloud-based platform, SAS Studio. While a primary driver of Passion-Driven Statistics is the aim to imbue students with an appreciation for data analysis, it also aims to increase diversity in the sciences by fostering classroom settings that are inclusive and supportive. 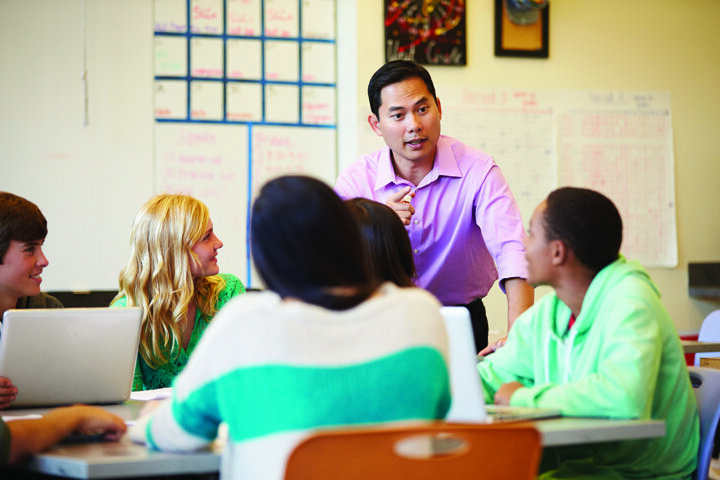 Traditional classroom settings place the burden of effort on the instructor – thus, class sizes must remain small in order for students to receive adequate support and direction. Many schools and universities lack the staffing to provide such instruction to a large student body, and must rely on the large general lecture. Professor Dierker’s program leverages faculty, technology, and peer-to-peer learning to enable larger class sizes without losing individual support and attention. While professors guide in-class activities, students also have access to online resource modules that are customised to their project and learning speed. Students also work together in groups, learning from one another and collaborating to fill knowledge gaps and building a motivating sense of community and comradery. Professor Dierker’s team is working specifically to help tailor the program to attract and retain students from underrepresented groups, and is working to understand how innovative courses such as Passion-Driven Statistics can work to provide a foundation for freshman minority students to build their STEM careers upon. Ultimately, Professor Dierker and her team want the program to shift the student view of statistics from a necessary evil to an essential way of understanding the world, and help students build confidence in their ability to analyse data. ‘It gives young people who may never have seen themselves as “quantitative” or “technical” a chance to begin to see themselves differently,’ she explains. In its pilot at Wesleyan University, Passion-Driven Statistics has already begun to change the relationship that many students have with statistics. The course has been shown to attract higher rates of underrepresented students than a traditional statistics course, and student feedback from the course has been quite positive, with the majority reporting that it has been one of the most useful courses they have taken in college and that it has increased their interest in pursuing additional coursework in data analysis. The model has been implemented successfully by numerous high schools, colleges, and universities, presently including Appalachian State University (USA), Ashesi University (Ghana), Concordia University (USA), Consortium for Pre-College Education in Greater Newark (USA), Davidson College (USA), GEAR UP partnerships at Yale University, Utah State University and Central Washington University (USA), Housatonic Community College (USA), Naugatuck Valley Community College (USA), Scarsdale High School (USA), Southwestern Oklahoma State University (USA), SUNY-Purchase College and SUNY-Downstate Medical Center (USA), Thiel College (USA), University of New Mexico (USA), Virginia Tech University (USA), and a TRIO partnership at Central Connecticut State University. In addition to these learning centres, the model has also been adapted to reach a worldwide audience as a Massive Open On-line series of courses available through Coursera (for more information, see https://www.coursera.org/specializations/data-analysis). With funding from the National Science Foundation and the Davis Educational Foundation, Professor Dierker is working to continue to build and refine Passion-Driven Statistics across additional learning environments and student demographics. Showing their commitment to inclusion, her team will be bringing their model to students with language-based learning disabilities in the coming year. ‘After having demonstrated that this model is useful to students across many educational settings, we are currently working to identify additional implementation partners for a new grant application that focuses on national and international dissemination and sustainability of this project-based model,’ says Professor Dierker. Those who are interested may reach her at ldierker@wesleyan.edu. 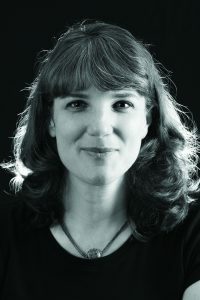 Professor Lisa Dierker began her educational journey as an English major at Ohio State University, where she found herself drawn to the sciences, but intimidated by the heavy mathematical demands taught in unwelcoming lectures. She persisted and went on to earn both a Master of Arts and a Doctorate in Developmental Psychology at the University of Connecticut. After completing post-doctoral work in public health at Yale University, she joined the faculty at Wesleyan University, where she currently serves as a Professor in the Department of Psychology. Professor Dierker’s early academic experiences inspired her to pioneer the Passion-Driven Statistics course – an innovative approach to teaching data analysis to students from a broad range of backgrounds and academic interests. Now in its ninth year, the course has met wide success and has been implemented in numerous schools worldwide. L Dierker, Engaging Underrepresented High School students in Data Driven Storytelling: An Examination of Learning Experiences and Outcomes for a Cohort of Rising Seniors Enrolled in the Gaining Early Awareness and Readiness for Undergraduate Program (GEAR UP), Journal of Education and Training Studies, 2017, https://doi.org/10.11114/jets.v5i4.2187. J Cooper and L Dierker, Increasing Exposure to Programming: A Comparison of Demographic Characteristics of Students Enrolled in Introductory Computer Science Programming. International Research in Higher Education, 2017, http://doi.org/10.5430/irhe.v2n1p92. L Dierker, J Alexander, J Cooper, A Selya, J Rose and N Dasgupta, Engaging Diverse Students in Statistical Inquiry: A Comparison of Learning Experiences and Outcomes of Under-Represented and Non-Underrepresented Students Enrolled in a Multidisciplinary Project-Based Statistics Course, International Journal for the Scholarship of Teaching and Learning, 2016, 10, 1–11. L Dierker, J Cooper, A Selya, J Alexander and J Rose, Evaluating access: Comparing enrollment patterns in traditional versus multidisciplinary, project-based introductory statistics courses, Journal of Interdisciplinary Studies in Education, 2015, 4, 22. L Dierker, E Kaparakis, J Rose and A Selya, Strength in Numbers: A Multidisciplinary, Project-Based Course in Introductory Statistics, Journal of Effective Teaching, 2012, 12, 4–14.